Did you know that children's TV channels often advertise things that are not geared toward children as well as things that are annoyingly interesting to children? I don't mean just toys, Skechers, and movie advertisements. I mean stupid thing like aluminum wallets and bacon-cooking devices for the microwave. The latest TV commercial to catch Eric's attention is a cookie press, the Cookie Factory as he calls it (not the real brand name). 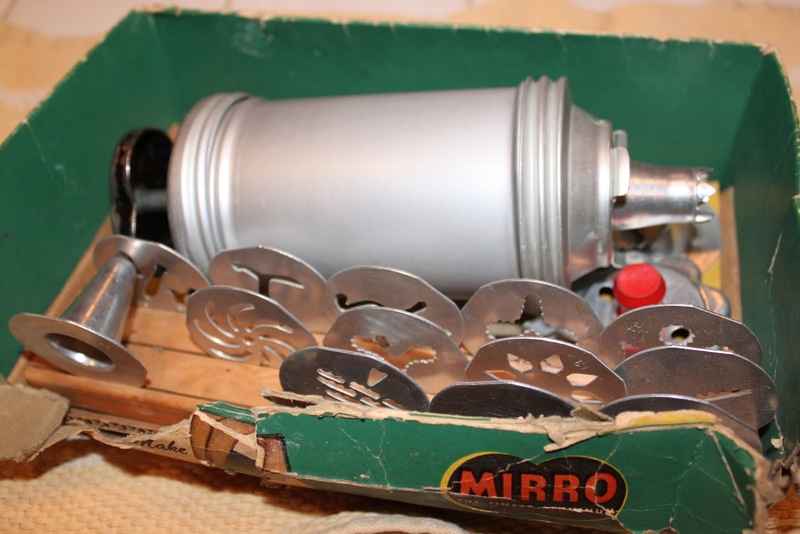 Conveniently, I inherited a very old cookie press from Gram. After she had passed. I sifted through piles of kitchenware in her basement. So to Eric's delight, I pulled Gram's cookie press from the cabinet. For months since then, he's been begging to make cookies. 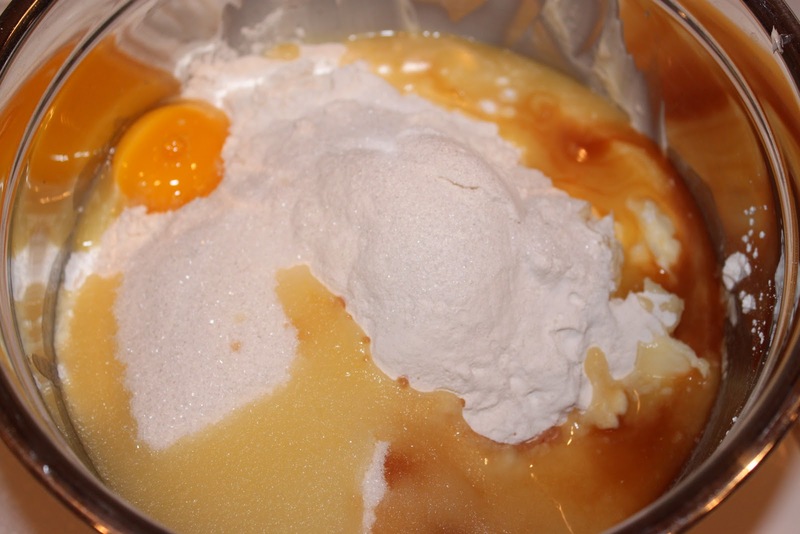 Last night, I had both kids in the kitchen as I mixed the dough and I fumbled with press. 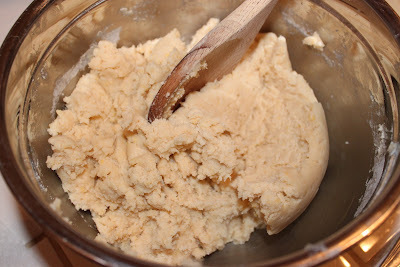 Did you know it's harder than it looks to make nice, even, flat, extruded cookie dough? 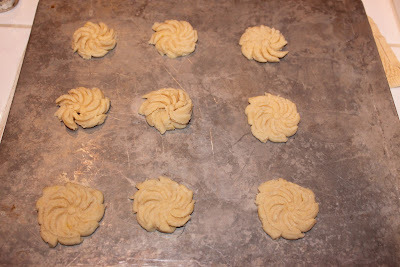 It was easier to make the shaped cookies like the swirly flower. Gram's press had some pretty interesting shapes. I used the swirly flower and the grooved bar for this, but it also had a spade, club, camel, puppy, sun, Christmas tree, among others. Anyhow, it was a start. 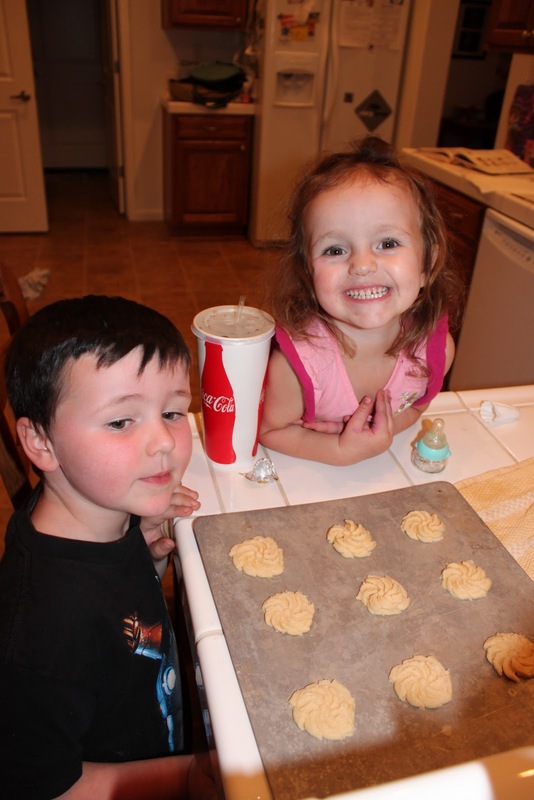 Both Eric and Haley were giggling and poking at the dough as I tried to squirt it onto the cookie sheet. They soon lost interest in the process and ran off to play. 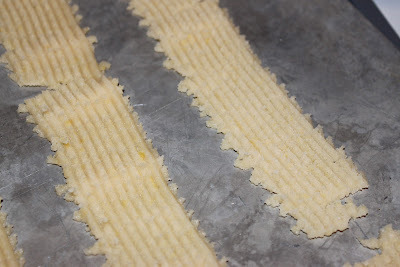 By the time I ran out of dough, I had figured out how to turn the press crank and lay long ribbons of dough on a cookie sheet. After they had cooled and we started eating them, I realized that these cookies are a lot like the Danish butter cookies in a blue tin that you can find everywhere around Christmas-time here in the US. If you want to duplicate those, you may want to sprinkle some decorative sugar crystals on top of some shaped into pretzels or fluted rings. Otherwise, they are tasty just plain. 1. Combine all ingredients and beat with an electric mixer or with a wooden spoon. Beat until well mixed. 2. Cover bowl with plastic wrap and refrigerate until dough is cool, up to 1 hour. 3. 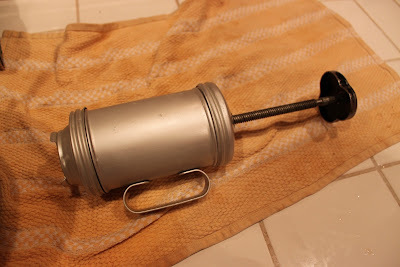 Put dough into the cookie press tube. Try to get it smooshed in evenly because this will make it squeeze out more evenly. 4. 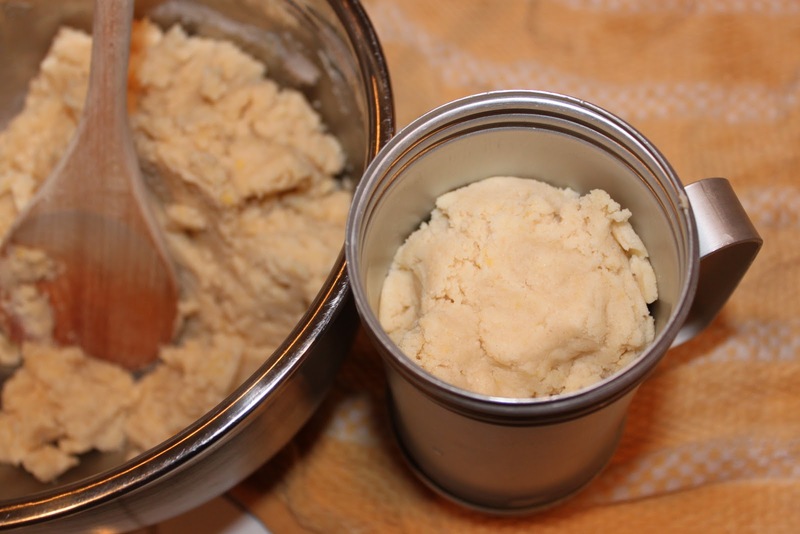 Press/squeeze/turn the crank to extrude cookie dough onto an ungreased cookie sheet. If you're doing ribbons, use a knife to score across about every 2" down the ribbon. 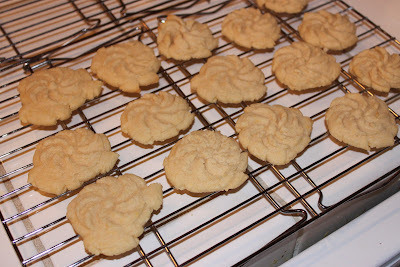 If you make individual cookies, you can place dollops about 1" apart. They won't spread out very far. 5. Bake at 350F about 11 minutes, or until the edges start to brown. For ribbon cookies, use a knife to re-cut where you scored them while still warm on the cookie sheet. 6. Transfer to a cooling rack to cool completely.